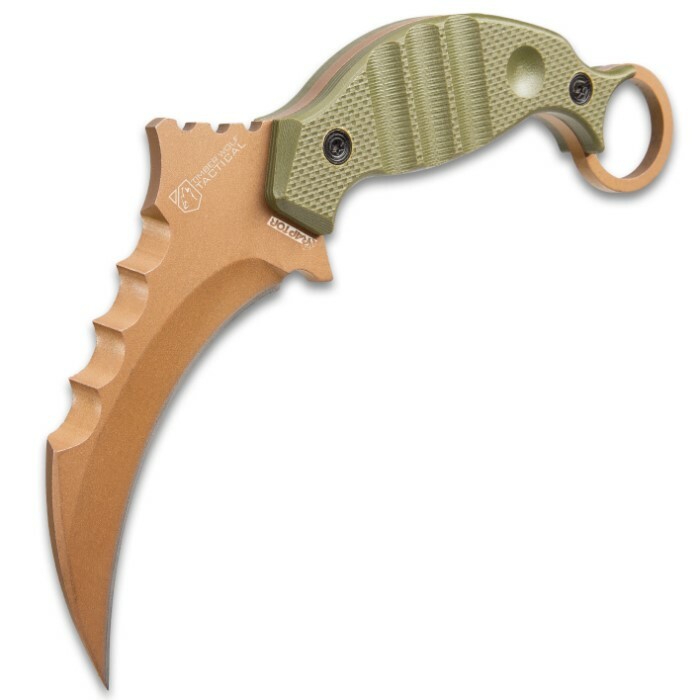 Copper Raptor Karambit - 3Cr13 Stainless Steel, Titanium Coated, G10 Handle Scales, Open-Ring Pommel - Length 8 1/4” | BUDK.com - Knives & Swords At The Lowest Prices! 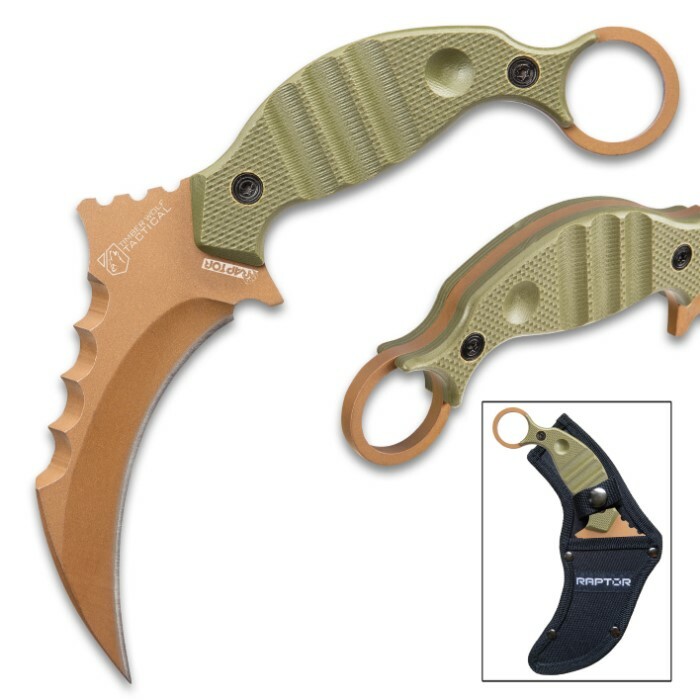 Big and toothy, this Copper Raptor Karambit is a hefty knife that you can count on to defend you in the face of whatever you come up against! It has a full-tang, unbelievably sharp, aged copper 4 1/2” 3Cr13 stainless steel, titanium coated blade with pronounced thumb jimping and wicked teeth on the spine. 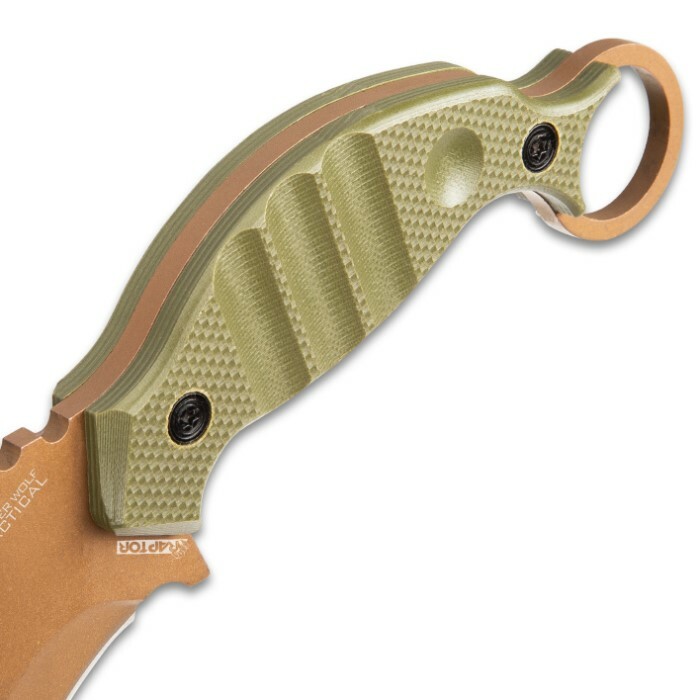 The tough, textured and grooved handles scales are crafted of olive drab G10, secured by steel pins. 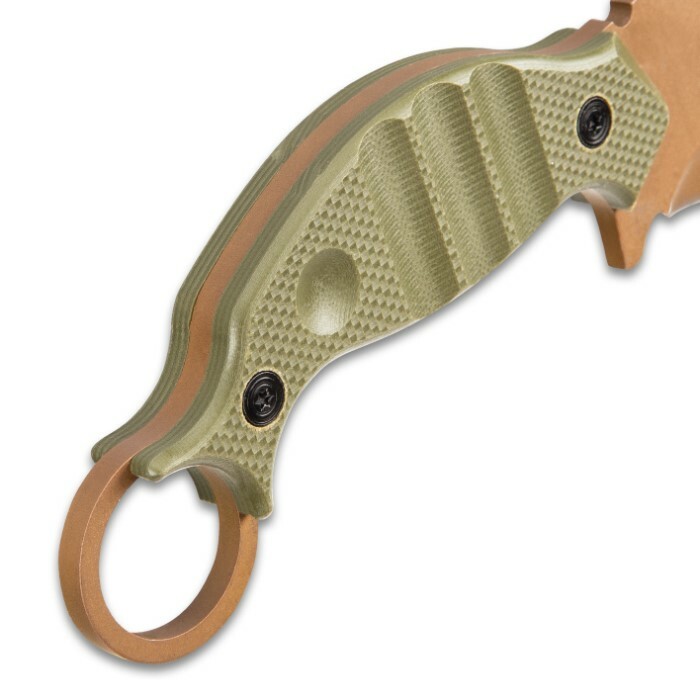 As with all karambit knives, an open-ring pommel gives you control and maneuverability when you’re using the knife. 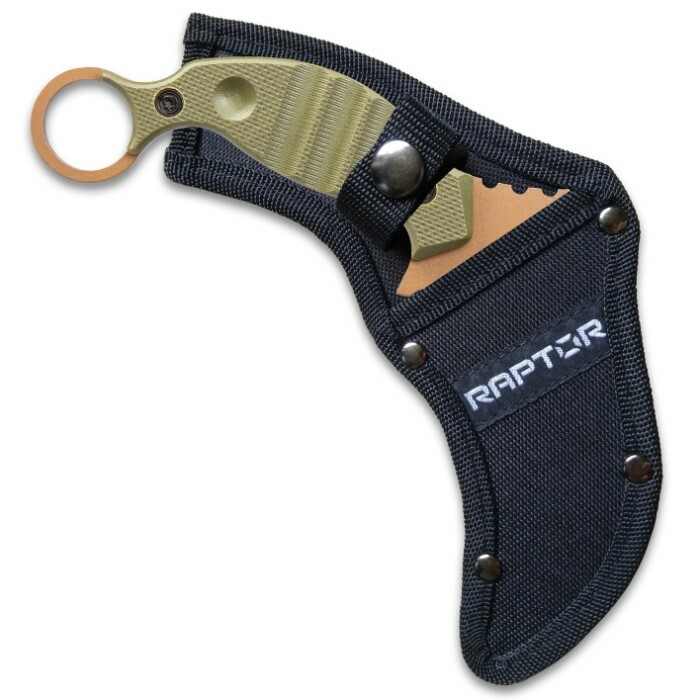 A sturdy nylon belt sheath with a snap closure protects the blade and gives you a convenient carrying option. Want a friend you count on? 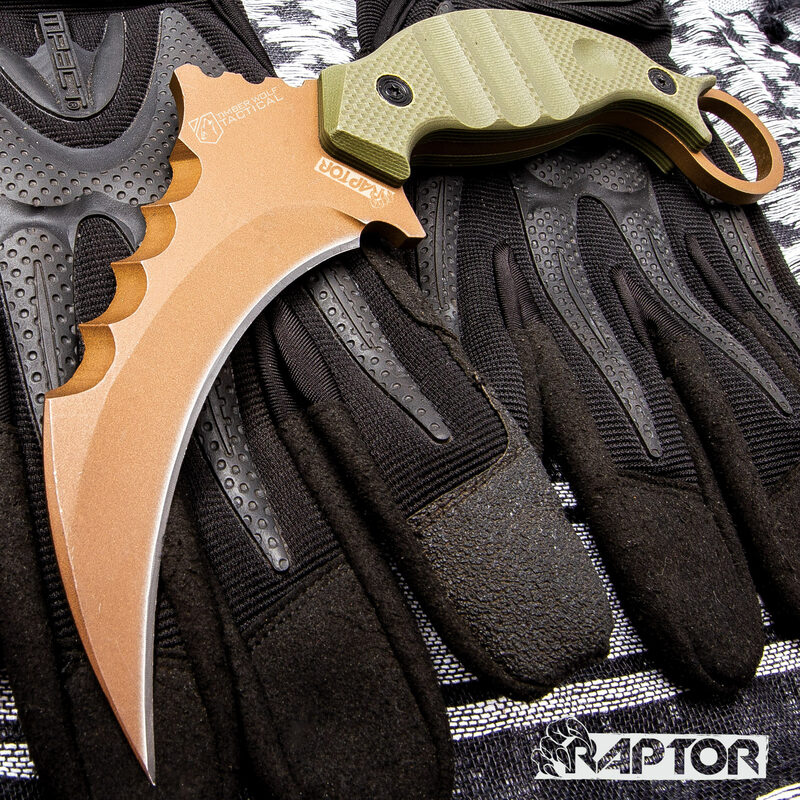 The Copper Raptor Karambit has your back! This ios an awesome well made knife. Reasonably sharp out of the box, but with a little TLC you could probably shave with it. I gave it 4 stars instead of 5, only because of the cheap holster that comes with it. The knife itself is well worth the money.